Visiting Italy is always a special treat and even more so, if your trip includes the beautiful city of Florence in Tuscany. 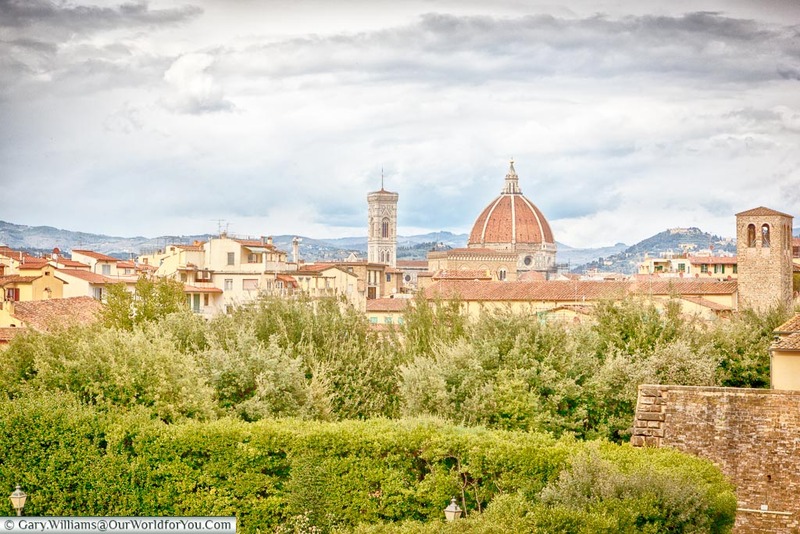 Florence just cries out for a mini-break as there is so much to see in this fine-looking city. 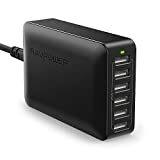 Why rush? Take your time and enjoy Florence at the relaxed pace that the locals do. Centuries of history all around and Italian culture to be so envious of, Florence ticked a lot of boxes for us and not just for its incredible pasta. 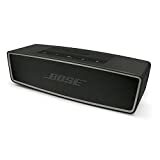 Why not check out something from Get Your Guide? 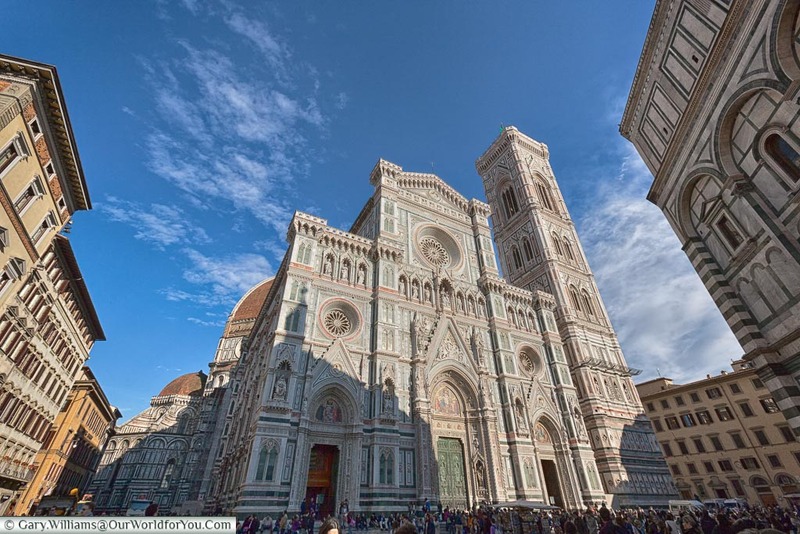 Florence Cathedral is breath-taking, as soon as you arrive in the city your immediate urge is to head straight for it. It’s difficult to put into words the presence that it imposes, as it is so striking. 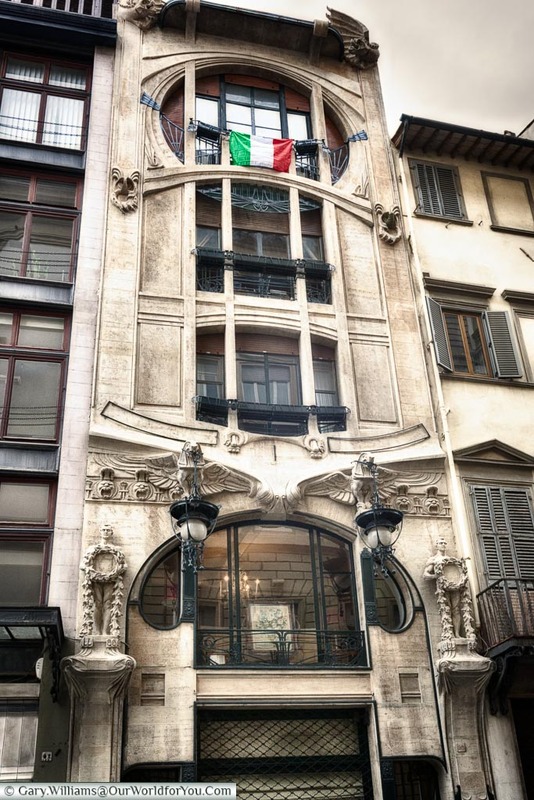 Constructed in the Gothic and Renaissance style the façade is beautiful, different shades of pink, green and white marble. Work on the cathedral started at the end of the 13th-Century with the dome being added during the 15th-century. Within the same Piazza del Duomo is Giotto’s Campanile (bell tower) and also the Baptistery of Saint John. 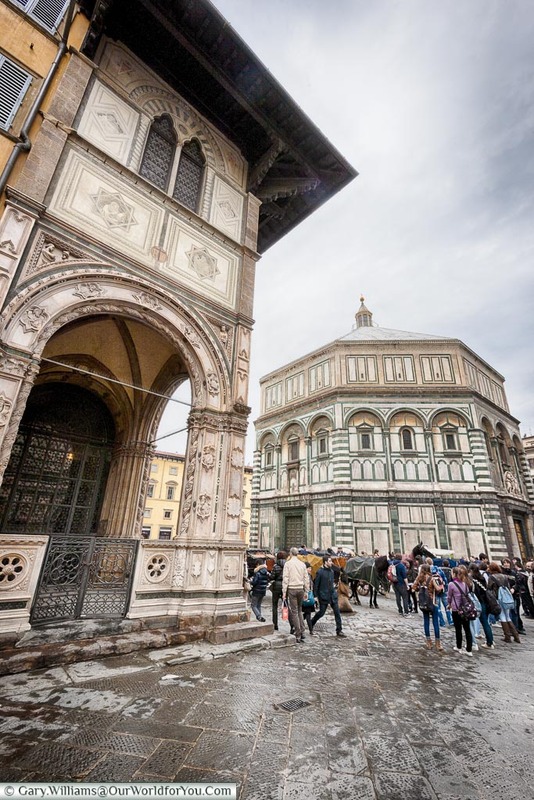 The Baptistery is one of the oldest buildings in Florence, built between 1059 and 1128. 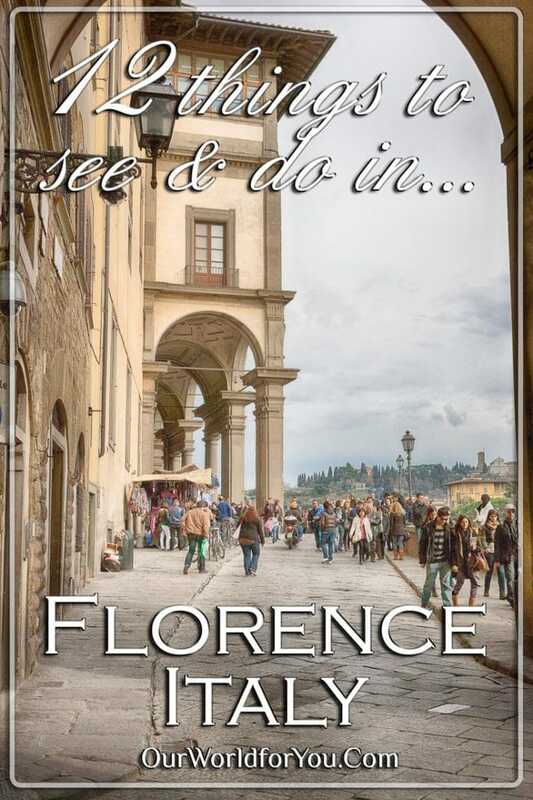 For obvious reasons this part of Florence is busy; however, it’s a must to see, just go with the flow. Even if visiting Florence Cathedral wasn’t free of charge we’d still have headed inside, you just can’t believe its enormity. 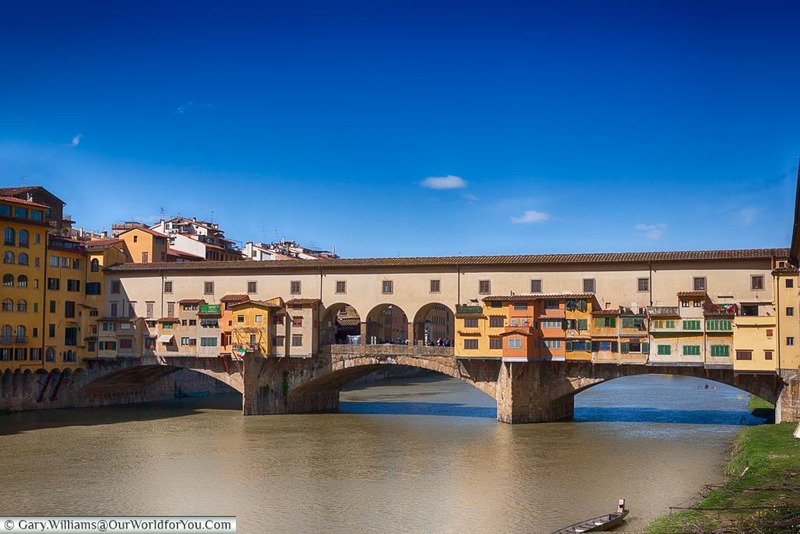 I couldn’t wait to see Ponte Vecchio the ancient bridge that straddles the Arno River. So many times, I’d viewed pictures of it, and it just looked incredible. Tiny windows and doors are almost clinging to the sides of the bridge. When you stroll across the cobbles passing the little shopfronts, it doesn’t take much to imagine the type of clientele that would have passed through here in centuries gone by. 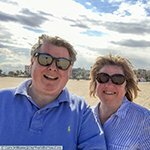 During the day the wooden shutters are flung open to us tourists selling jewellery and gifts, but of an evening, calm descends, and a pleasant evening stroll is the way to go. 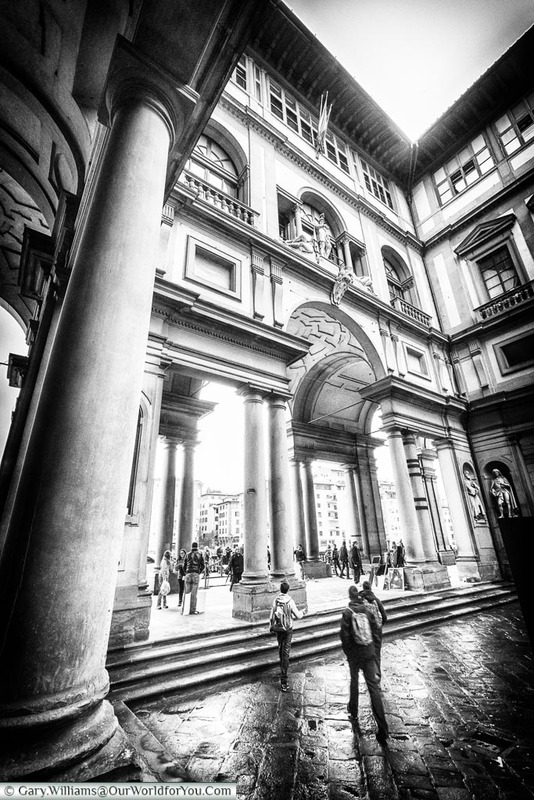 My biggest regret whilst visiting Florence was that we didn’t get the chance to visit the Uffizi Gallery. Time and queues were not on our side, and we didn’t want to rush around. However, I still wanted to include the museum on this list, as it is an icon to the city. Masterpieces of Botticelli, Titian, Carravaggio and Leonardo da Vinci (to name just a few) can be seen here. My advice is to plan ahead - if only I’d heeded that advice. To experience the hustle and bustle of an Italian city piazza head to the Piazza della Repubblica. Surrounded by arched arcades and elegant cafes, where friends and families pass the time of day. Here once stood Florence’s Forum, but what will catch your eye is the large Triumphal Arch or Arcone. Just south of Piazza della Repubblica is the bronze fountain sculpture of Porcellino (piglet). 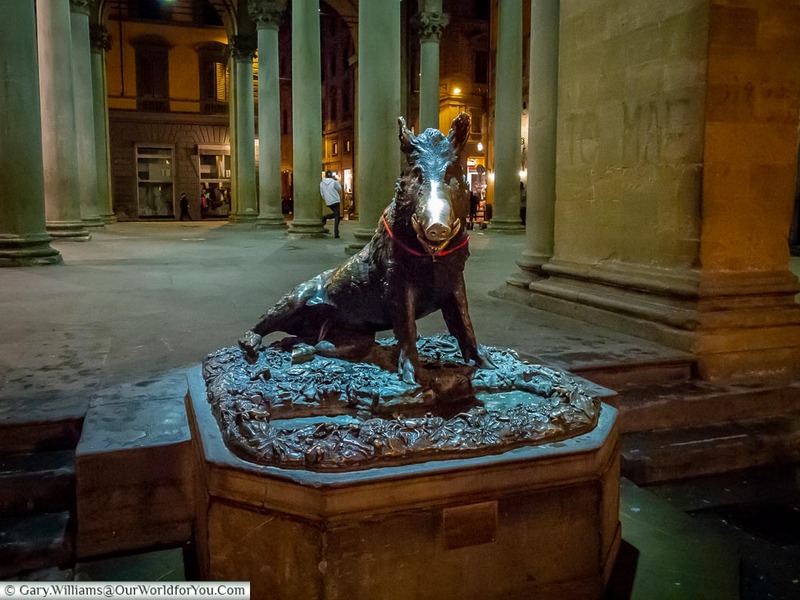 Although this is a replica of the original, it’s very popular with tourist to rub its snout for good luck or ensuring that you’ll return to Florence. You may also recognise it from the 2001 film Hannibal, where the Chief Inspector washes his hands in the fountain. 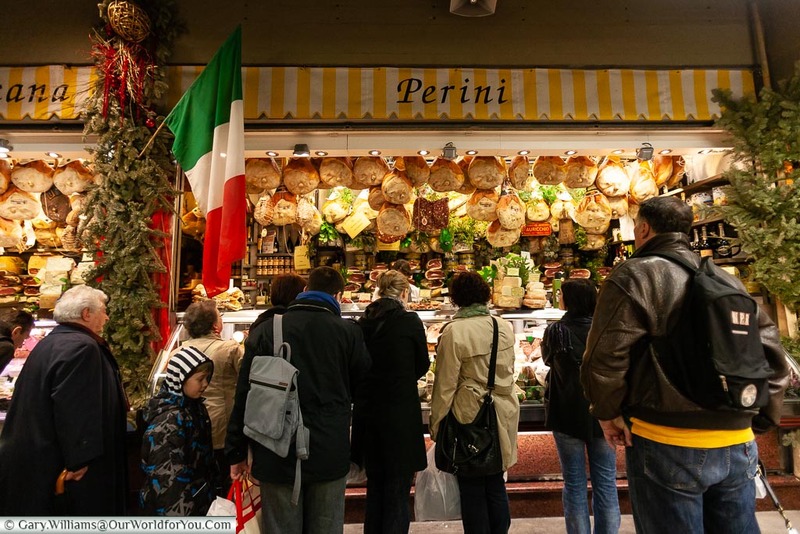 For a Florence food shopping experience head to Mercato Centrale, on the first floor, you’ll find a wide variety of fresh fruit and vegetables, fishmongers and butchers. Then if you head to the second floor, you can indulge in all thing’s food and wine. Who doesn’t enjoy Italian cheese all washed down with a little Chianti? Ok, so strictly speaking we’ve headed out of Florence here; but who could turn down the prospect of seeing the Leaning Tower of Pisa. 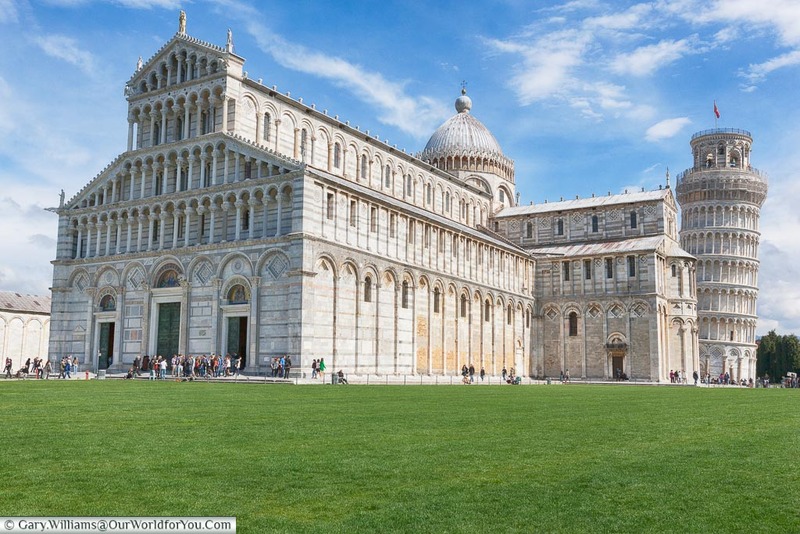 A train from Florence regularly runs throughout the day to Pisa and takes around 1 hour. In my opinion, it was an opportunity not to be missed and an incredible sight. I know there has been a lot of structural work on the tower, but it is still amazing to understand how it manages to stay upright and not topple over. Be sure to validate (stamp) your train ticket prior to boarding the train; otherwise, you may get fined. 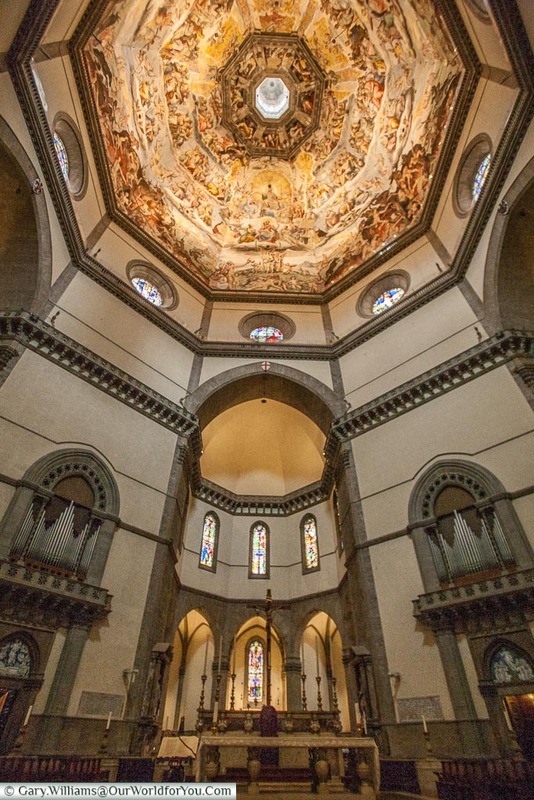 If you ‘ve made the decision to head Florence and you love architecture, then you’re in for a treat. Street after street there is either a grand, imposing building or a quirky little house or shop taking your eye. That’s what I love so much about these ancient cities there is so much to discover. Florence has some wonderful piazzas and fountains, it just makes me smile when you turn a corner not knowing what’s around it, and then another little fountain appears. 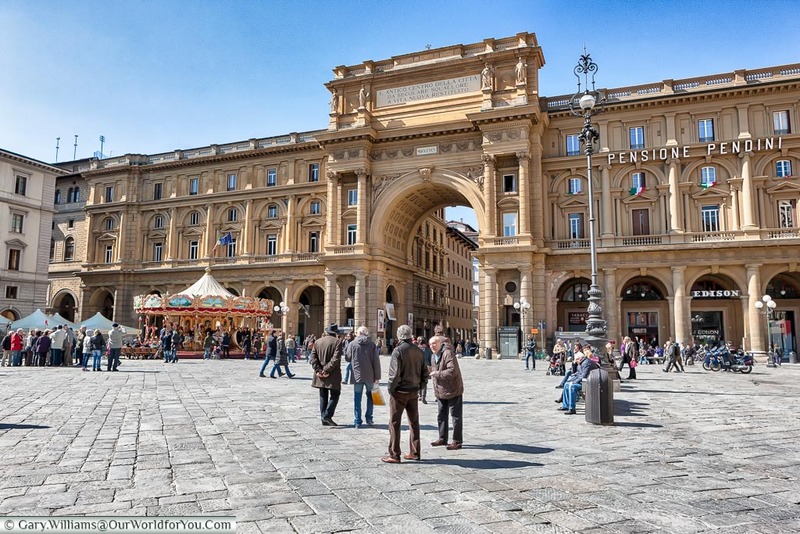 One piazza that we often strolled through was Piazza della Signoria. 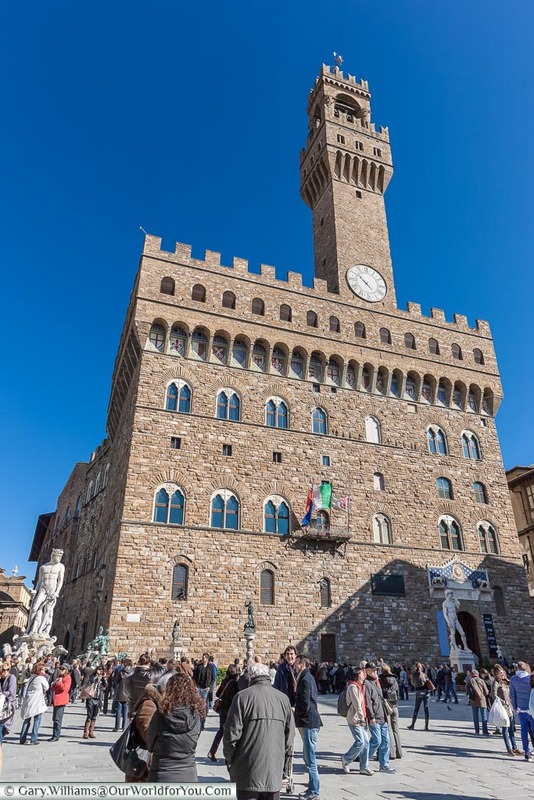 Not only did it have elegant locals whiling away their time, but it was also home to Palazzo Vecchio a Romanesque town hall and Loggia dei Lanzi. They are certainly not short of a statue or two around here. 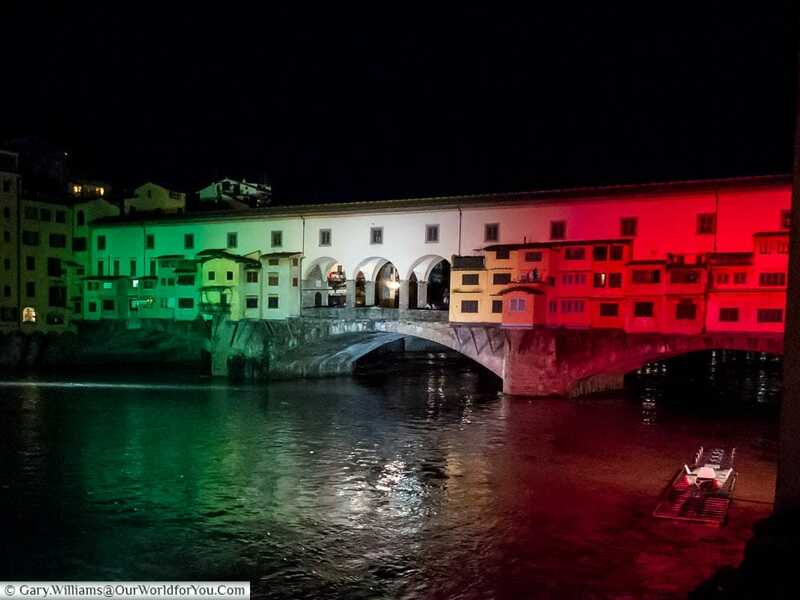 The Historic Centre of Florence has been inscribed as a UNESCO World Heritage Site since 1982. 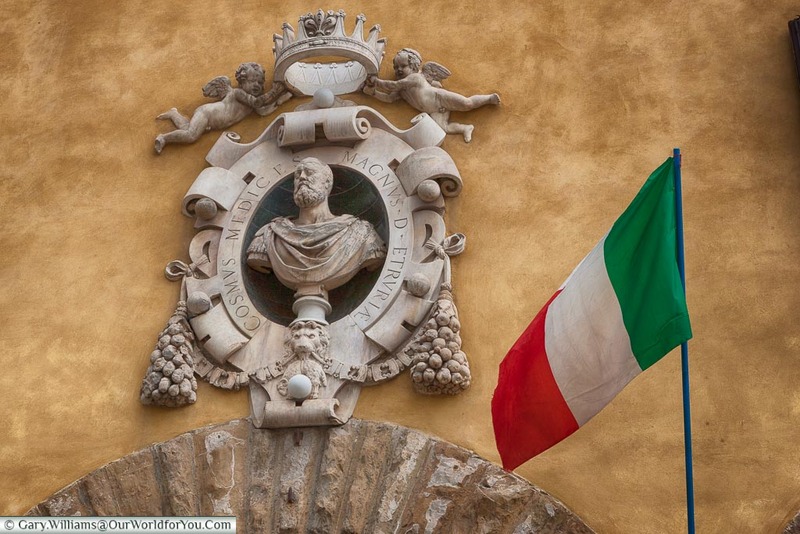 As you wander around Florence, you’ll see many references to the Tuscan Medici family. They were a very prominent household in Italy, particularly through the 15th & 16th centuries. The banking family were also at the political forefront with four heirs becoming Popes. 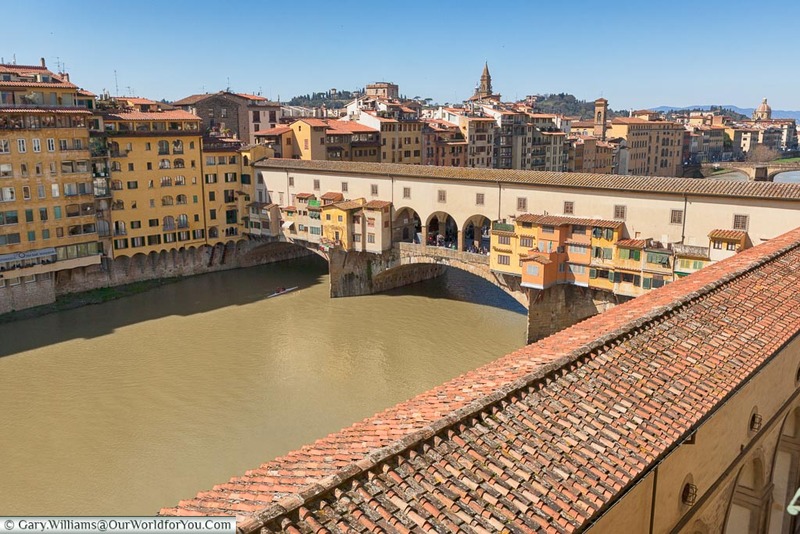 You may notice when you head to Ponte Vecchio that there is a passageway across the top of the bridge, this is the Vasari Corridor. This was commissioned by the Medici family in 1565 and links the Palazzo Vecchio and the Uffizi to the Pitti Palace on the other side of the Arno River. The private corridor is over 1km long, this allowed the family to move freely amongst the buildings without rubbing shoulders with commoners. Any time of year come rain or shine an ice-cream is always a must and when in Italy - I would actually say compulsory. 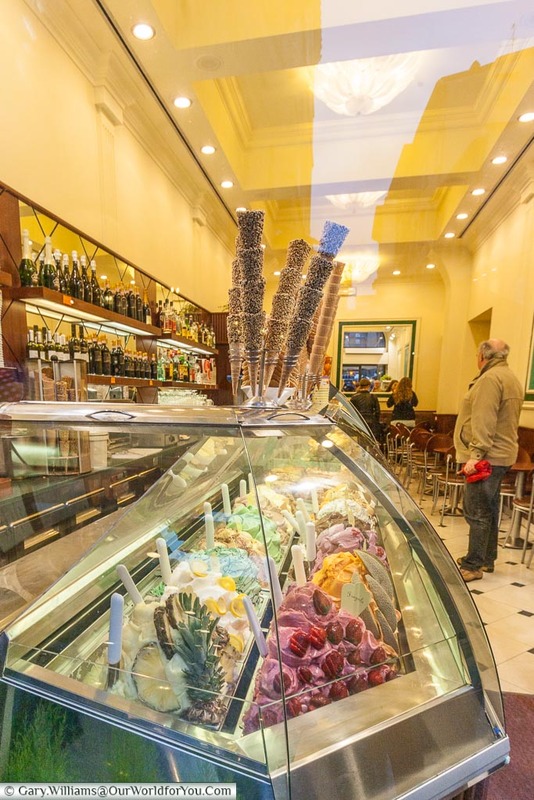 There are so many ice-cream parlours to choose from with all their delicious flavours piled high. 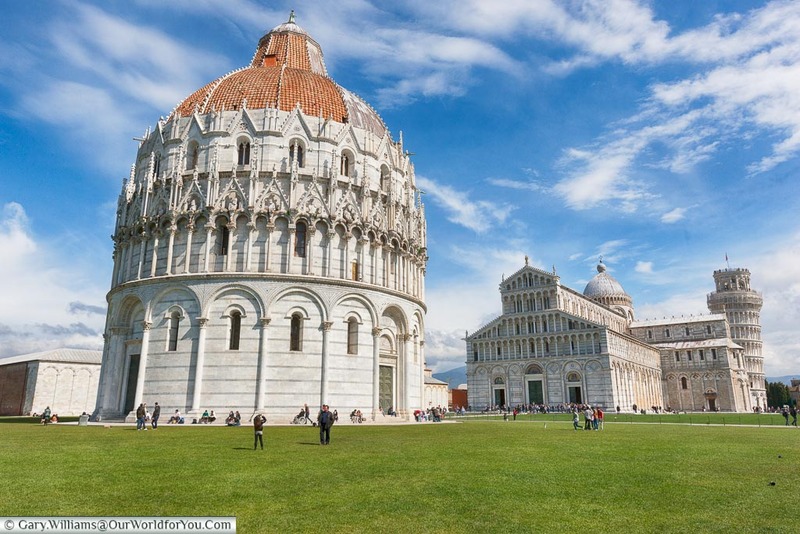 Start creating your own Italian adventure and discover the ancient city of Florence yourself, easyJet & British Airways are just a couple of options. 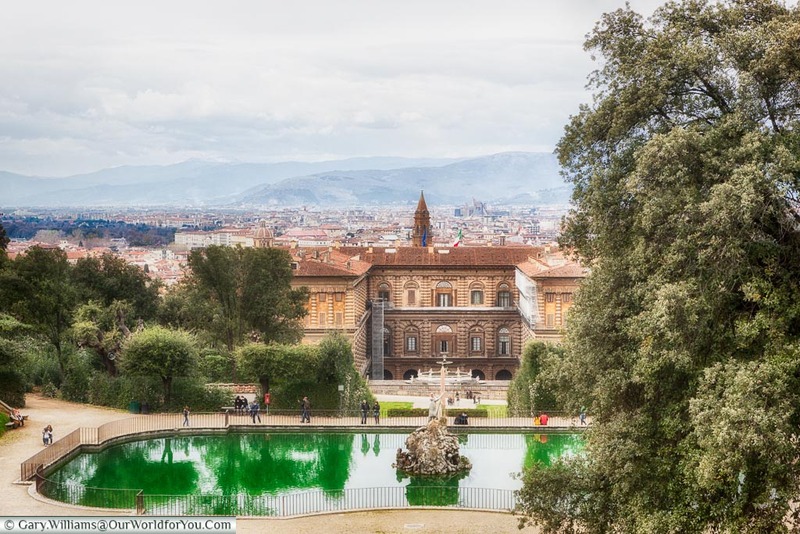 For a bit of an escape from the hustle and bustle of the city centre, Gary and I headed to Boboli Gardens on the south side of the Arno River. This 111-acre garden has an amazing collection of 16th to 18th-century statues & sculptures. Hidden grottos and has some lovely shady places to sit and relax. From the gardens, you can also enjoy an incredible view across the rooftops of Florence with the Duomo playing centre stage of the skyline. 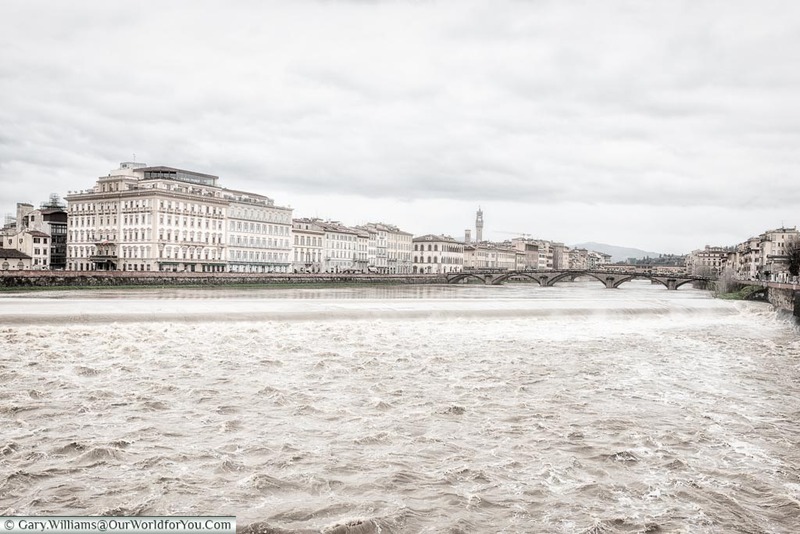 If you enjoy a riverside stroll take a wander along Arno River, it’s a reasonably peaceful walk, and you get to see some wonderful architecture and enjoy a shot of Italian coffee. 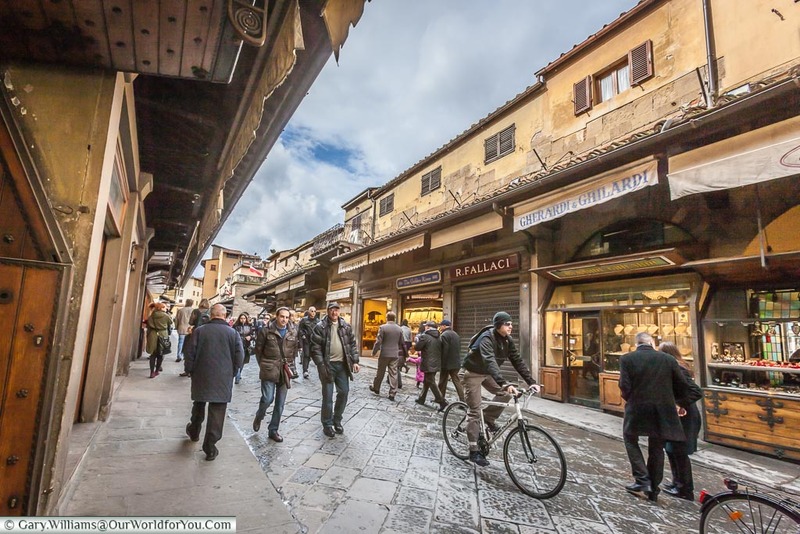 And stroll across the ancient Ponte Vecchio? 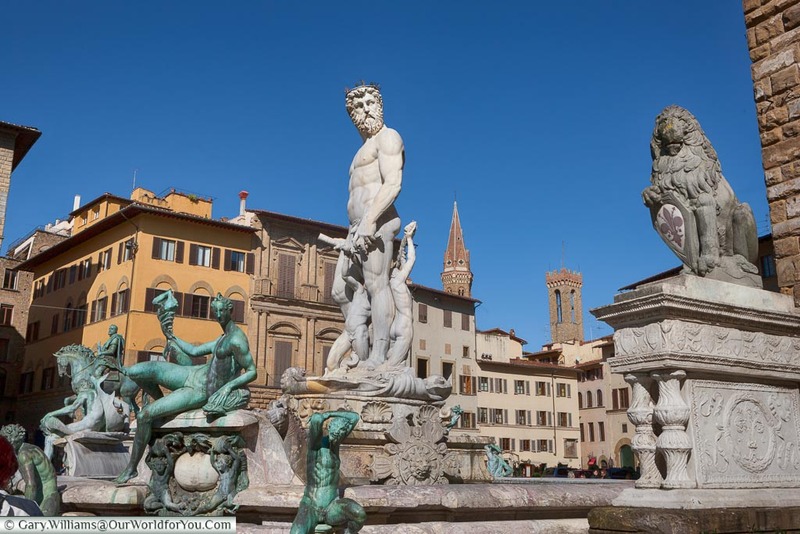 Check out the Uffizi or has something else taken your fancy?